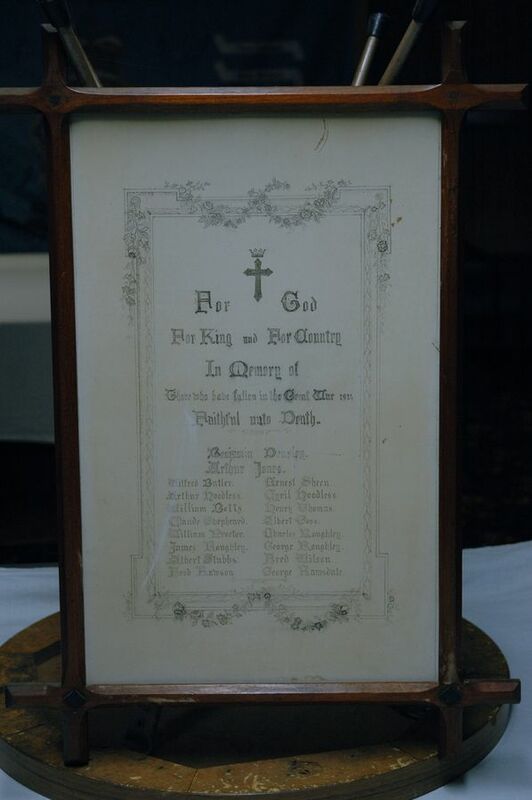 A framed paper honour roll commemorates those who died in service or were killed in World War One. It lists 18 names. It is believed that this honour roll has come from a de-consecrated church.